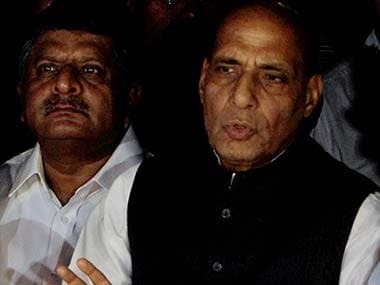 Greater Noida: Making a veiled reference, Home Minister Rajnath Singh on Friday said Pakistan was indulging in a proxy war and has been trying to harm India by taking "cowardly" aid of terrorism. "The neighbouring country has been carrying out proxy war. But terrorism is not a weapon of the brave but of cowards. Those who fight from behind are called cowards... they take the help of terrorism," he said. Speaking at the 55th raising day event of border guarding force Indo-Tibetan Border Police (ITBP) at its camp here, he said strict vigil by the force has resulted in 60 percent lesser transgressions into the Indian territory by the Chinese People's Liberation Army this year. 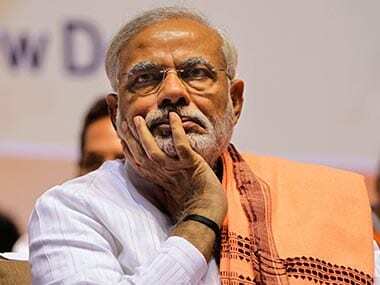 Referring to the current tensions between the two countries, he said the neighbour has been trying to harm India and was attempting to break and "destabilise" it by resorting to terrorism. 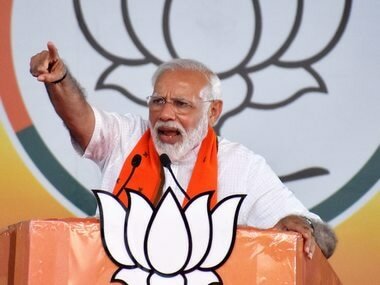 Singh said an "evil eye" is being cast on India to thwart its progress as it is marching on as one of the fastest growing economies of the world. The situation along the Indo-Pak border continues to remain tense after terrorists attacked an Army camp in Uri killing 19 soldiers on 17 September. In a retaliatory action, Indian Army carried out surgical strikes on terror launch pads in PoK on 29 September. Firing by both Indian and Pakistani forces towards each other's positions have been continuing leading to several deaths on both sides. Singh had earlier instructed border guarding forces not to fire towards the enemy first, but not to count bullets if they are fired upon. Later, while taking questions on the ceasefire violations by Pakistan, he said, "Our soldiers are responding to them befittingly." To a question on the espionage case involving a diplomat of the Pakistani High Commission in India, he said the government is taking necessary action. There have been several incidents in the past in the icy heights of Himalayas when ITBP had noticed transgression by the Chinese forces and there had been confrontations between the two sides. All such transgression were successfully foiled by the ITBP personnel, Singh said. At Friday's event, the Home Minister honoured some ITBP personnel whose action led to foiling of PLA's attempt to transgress Indian territory at Chumar in Ladakh two years ago. Singh said due to the intensive vigil and bravery of Indian forces, no country in the world can now cast an evil eye on India and every time he sees these men and women he is filled with pride and confidence that the country is safe. He also appreciated the personnel of ITBP, posted in Indian missions in Afghanistan, who had foiled terror attacks in Indian consulate in Mazar-e-Sharif and Jalalabad early this year as well as for undertaking effective anti-Naxal operations. The Home Minister said it was the responsibility of the government to ensure that the morale of the jawans is not let down and various steps are being taken for this. Chiefs of all forces have to ensure this, he said, adding that he would try his best to resolve the problems of the jawans. Rajnath said the Home Ministry has recently enhanced the ex-gratia payments made to the families of the personnel killed on duty. "I feel this amount is also less as compared to the valour and sacrifice of our men...we will work to do more for our jawans," he said. Singh said the housing satisfaction level of the ITBP and other paramilitary forces has been enhanced from 14 percent to 25 percent but this needs to be further enhanced as he said it was "not sufficient". He wished the troops of paramilitary and defence forces on the forthcoming festival of Deepawali even as he underlined that the country sleeps in peace because the jawans are ever-vigilant on the borders and in the hinterland. Assuring that the government will undertake more welfare measures for the jawans, he said it will even ask for contributions in this regard if it is so required. The Home Minister laid the foundation stone of a new building for Institute of Archaeology (IA) here in the presence of Culture and Tourism Minister Mahesh Sharma. Speaking on the occasion, Sharma termed the institute as a gift to the city and the country and said it would be a model institute. Currently, the institute is being run from a temporary space in Lal Quila. The cost of the institute is Rs 300 crore and it will be ready in 18 months, he said. IA is an academic wing of Archaeological Survey of India (ASI) under the Ministry of Culture.